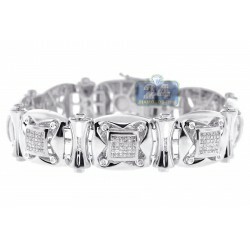 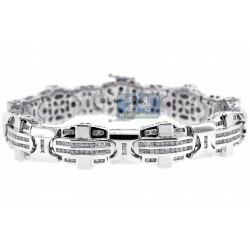 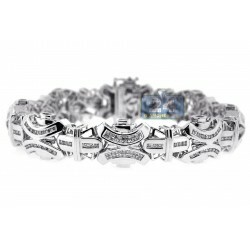 Mens Black Diamond Pave Link Bracelet 14K White Gold 5.80 ct 8.5"
Ravishing and bold, this men's diamond bracelet will make a shimmering statement! 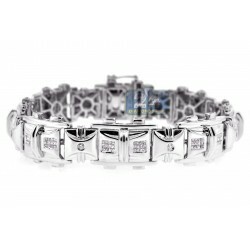 It's professionally crafted in cool 14 karat white gold, and precisely polished for ultra smooth feel. 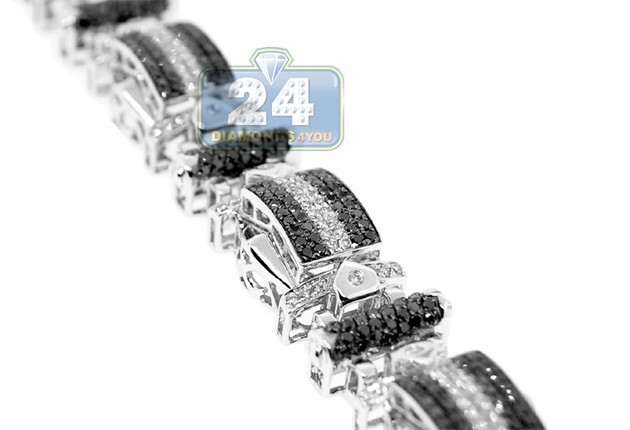 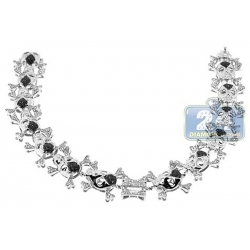 The links are paved with 5.80 carats of icy white and black round shaped natural diamonds. 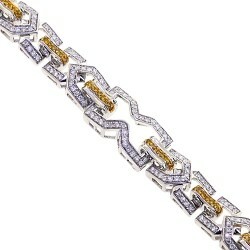 The piece measures 8.5 inches in length and 12 mm in width. 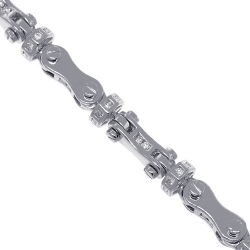 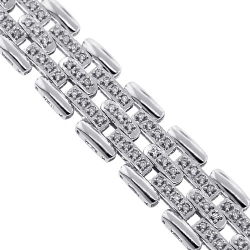 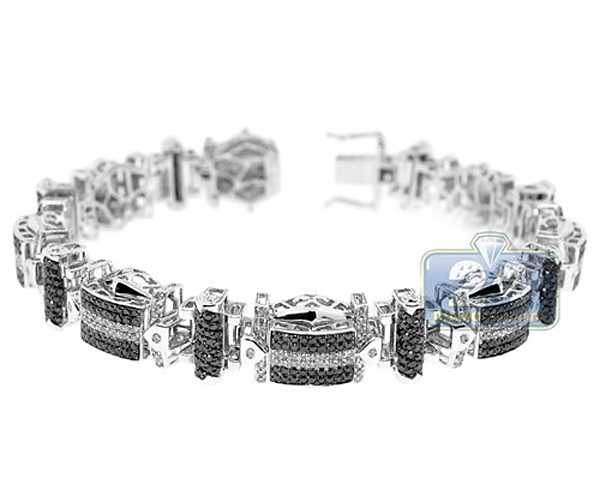 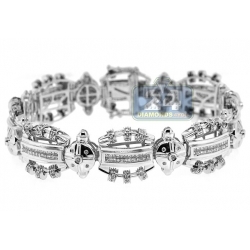 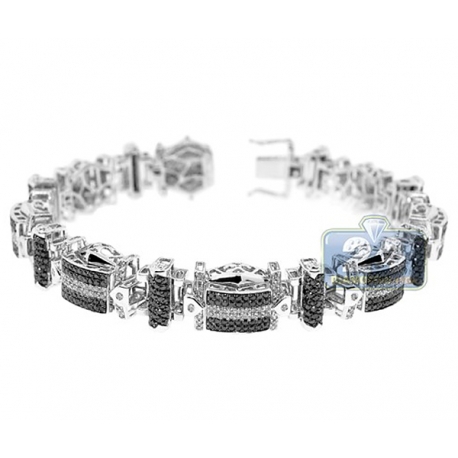 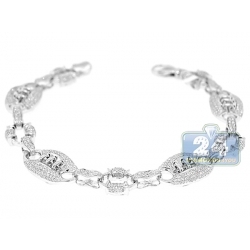 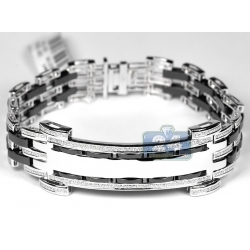 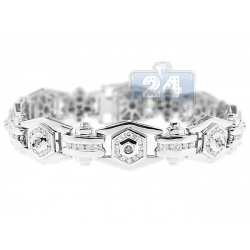 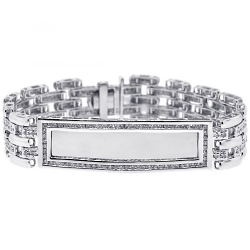 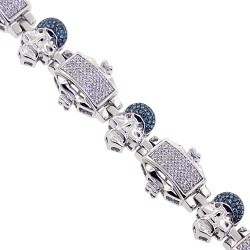 Adorn your wrist with our diamond link bracelet!